Okay. We all know that I love my gardens, but hate gardening. I can’t help it. I find it hard to plan, hard to figure out where to plant, what to plant, and how to plant it. Every single year I have to look up what bloody zone I’m in at least 10 times (5a? 5b?). If you add the pathological fear of having an earwig touch my hand as I weed, I’m a mess with the whole thing. Problem is, I have quite a bit of yard. I love pretty things — flowery things, blooming lovely smelly butterfly-enticing flowers and shrubs. I adore that moment when I plant something and I can see how it has improved the aspect of the yard. I like sitting with a drink on my deck and looking at pretty things. Okay. So it’s the upkeep I don’t like about gardening. I have, in fact, managed to convince myself of the wisdom of solving that problem with money. There are plenty of people willing to weed my garden for cash. 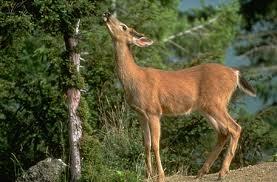 My only other problem, then, is finding a way to beautify my surroundings with plants and shrubs that will thrive. Luckily, my friend Jodi DeLong just wrote a book that pretty much solves this problem. If you’ve been reading my blog at all, you’ll know that I’m not a shill. I don’t write a review unless I think a book is worth writing about. She’s a friend, but if I didn’t like this book, I wouldn’t have a review here. This book is as useful, if not more, than my other favorite gardening activity (aside from looking at it with a drink in my hand): shopping at the local nursery. I love going to my local nurseries (there are several around here that are really great)…. I wander aimlessly, buy things that I don’t know the name of, and end up planting them in the wrong place and wondering why they don’t thrive. This book will help with that, and I fully intend to either bring it with me to the nursery, or make notes from it that I will keep in my bag. aside from the nicotiana I buy every year and plant in the same spot by the big rock I stole from Harbourville beach, I always plant perennials. go for showy: flowering shrubs are great, and not as picky as flowers can be. The rest I’m going to have to learn from reading Jodi’s book. loving camera of the author, by the way) has done much to help me through the interminable winter that was February 2011. The photographs are lush and lovingly organized; generous and in many instances spectacular. 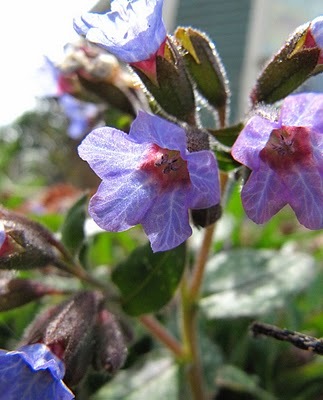 Reading her very approachable text and looking at these photos, I got a picture in my mind of the author — wandering all over her land in Scots Bay, crouching and waiting by the pulmonaria (at right) for the perfect moment when the sun hit the petals and showed it at it’s best. Knowing that she took these photos, that these plants are all in and around the Atlantic Region, makes it easier for me to trust it. I’m an index gal. Any book I get, I look at the index. 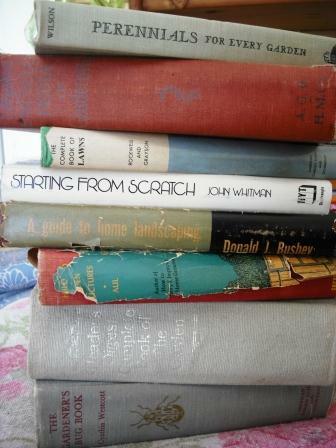 It’s a game I play — Browsing the Index — and it’s often how I separate an okay book from a good book. Good news — this book has a great index. I played Browsing the Index for several days (hey, I’m a geek, okay?) and the only time I stumped it was when I tried to find something about perennial Sweet Peas (L. latifolius). I love them, and managed to find some in a local nursery a few years ago, but usually they’re considered an annual (and so wouldn’t be listed in this book). That said, aside from navigating from the index, the book also offers some efficient and well thought-out structure to help the questing gardener: a Plant Hardiness Zone map (thank the gardening gods for that one!) starts it off, along with some introductory material. Then a section each on Shrubs and Trees, and Perennials. Each plant has the same very useful information: family, hardiness, bloom period, growing requirements, height, where best used, propagation, problems and notes. There is also a sidebar of recommended species of each plant — very useful. Each subsection is generously illustrated with more of Jodi’s gorgeous photos, and backed up with her inimitable style – chatty, smart, passionate and oh so readable. I’ve never enjoyed a gardening book more. Her voice is friendly and smart and funny. 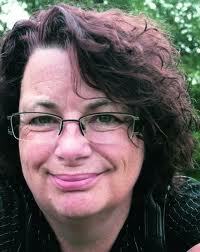 She peppers her writing with anecdote and humour, along with the amazing detail and careful science. Her section on “Garden Bullies” (goutweed, for example) is a cautionary tale. The sections are arranged alphabetically (instead of some complex and completely unintelligible (to me) of phylum, genus, species or something weird like that). The Appendices are great – snapshots of Deer Resistant Plants (not a problem for me, but for many it is a life-long battle), Plants for Pollinators, Salt and Drought-Resistant Plants, Plants for Moist or Wet Soil, and a list of Nurseries. Jodi DeLong is the author of “The Atlantic Gardener’s Greenbook”, writes regular gardening columns for the Chronicle Herald and is a gardening editor for Saltscapes magazine. She is scheduled for a number of book signings and talks in the next few months. She’ll be signing books at the Box of Delights book store in Wolfville, NS on 05 March from 2-4 pm. She will also be speaking at the Woodlawn Library in Dartmouth on 10 March at 7 p.m.; to the Dartmouth Horticultural Society on March 14; the St. Margaret’s Bay garden club on March 16, the Brookfield garden club on March 22 and at Ouestville Perennials in West Pubnico on April 9. Phew! Her website is a terrific read and well worth the visit. 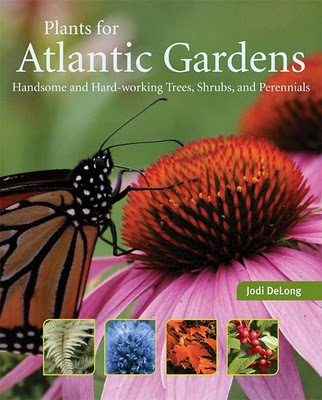 Plants for Atlantic Gardens is a softcover, 252-page book, published by Nimbus Publishing. It retails for $29.95. I need a garden book which shows how to have a stunning north facing balcony garden with about 4 minutes of morning sun. Hmm. Maybe artificial plants would do well there?